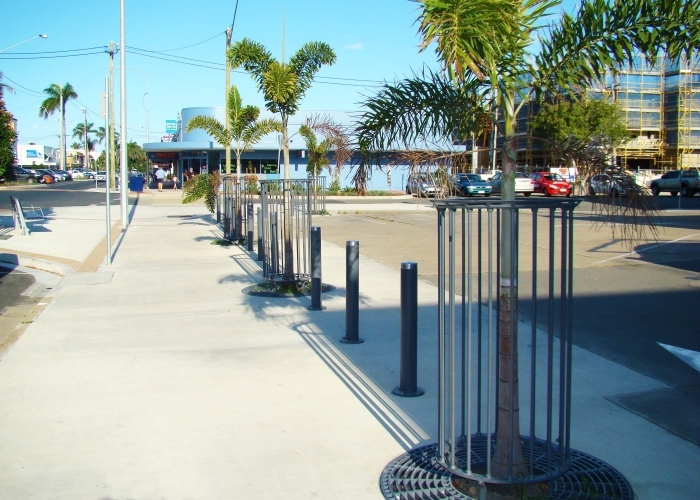 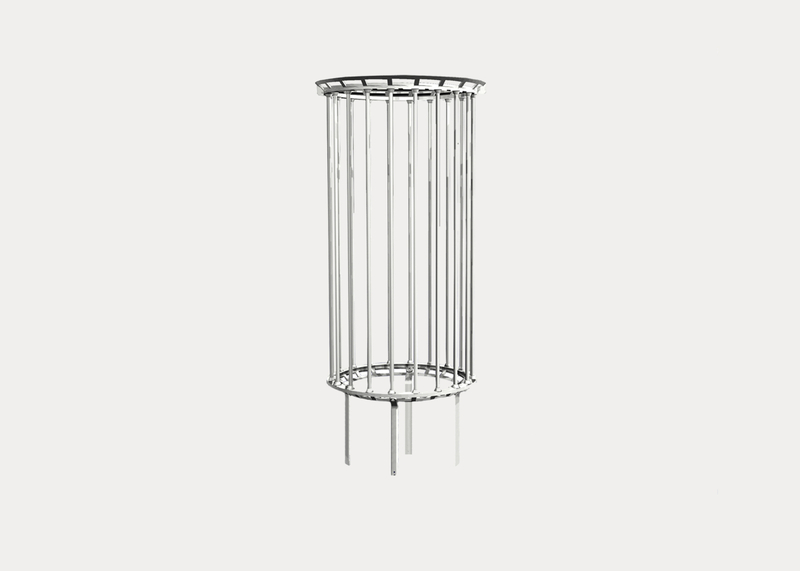 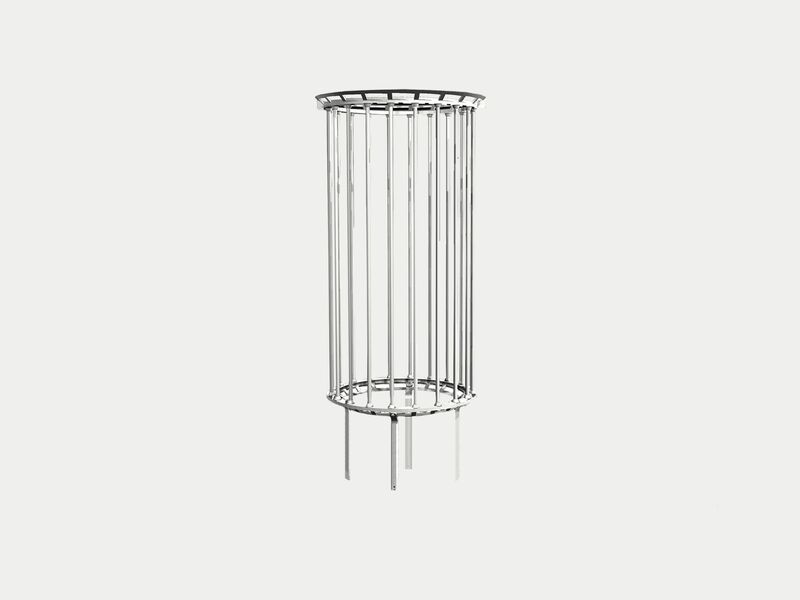 Stylish guard constructed of cast aluminium rims and steel posts. 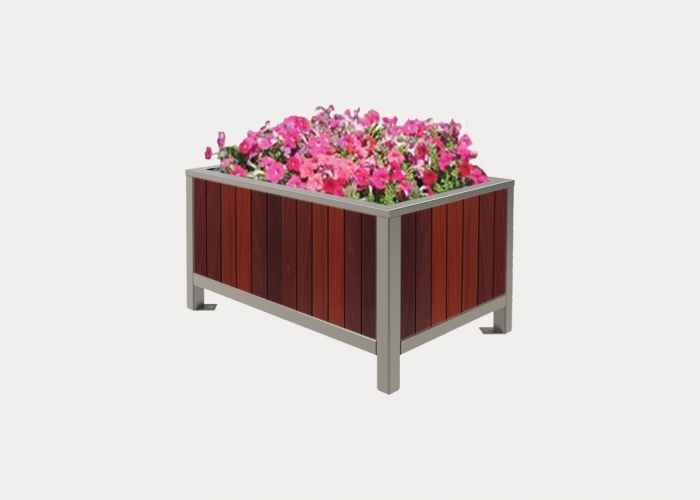 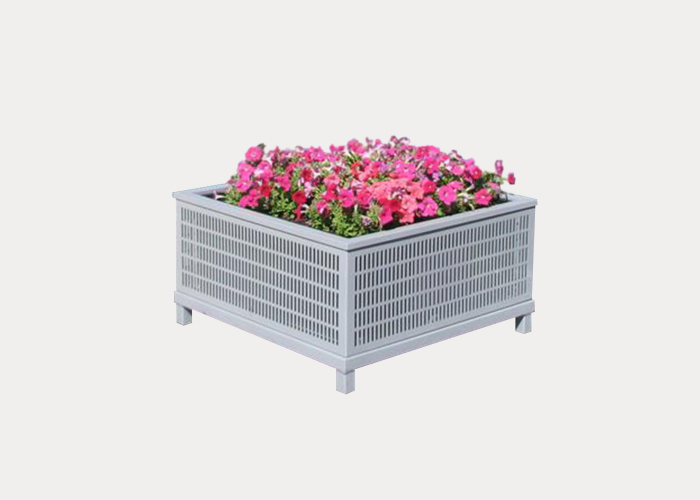 Supplied in halves and bolted together on-site for easy installation. 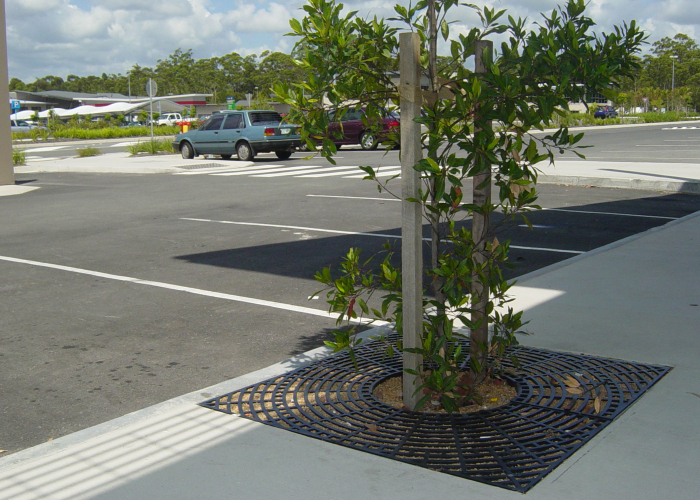 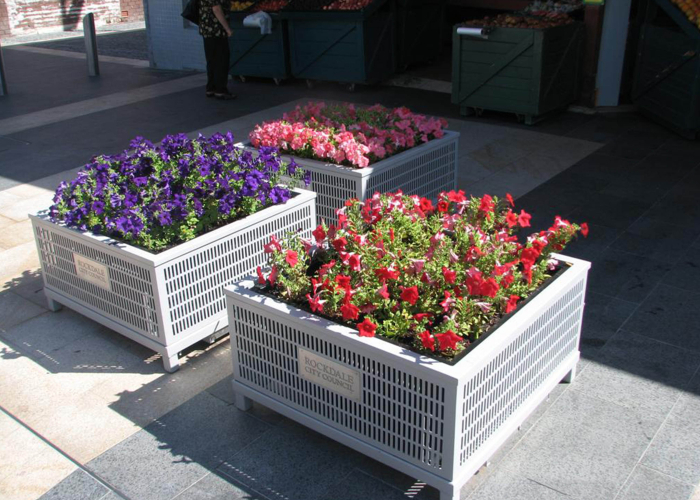 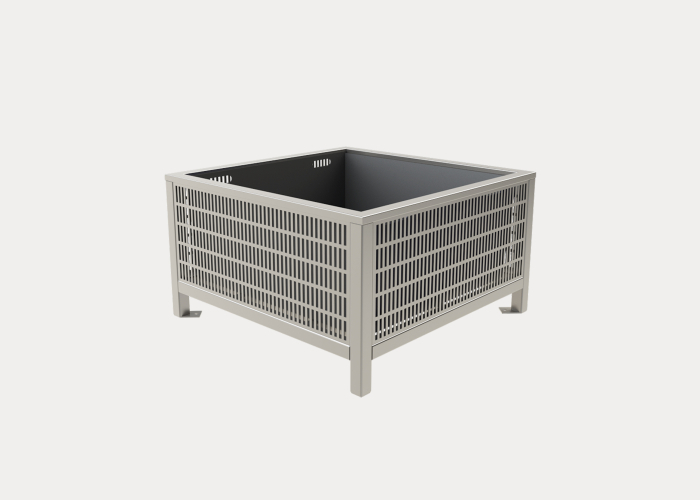 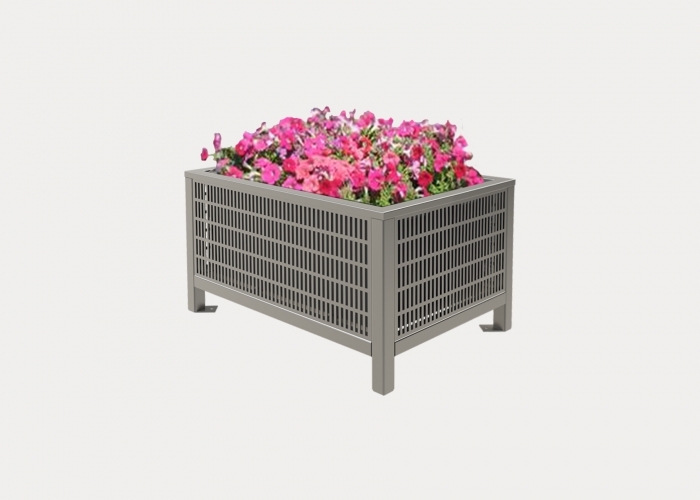 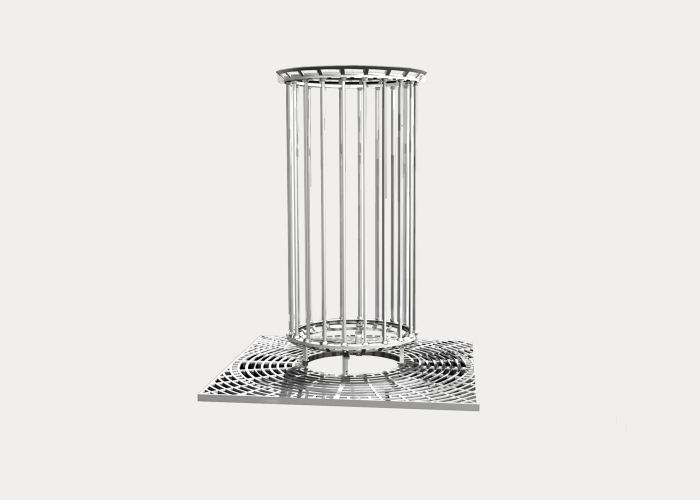 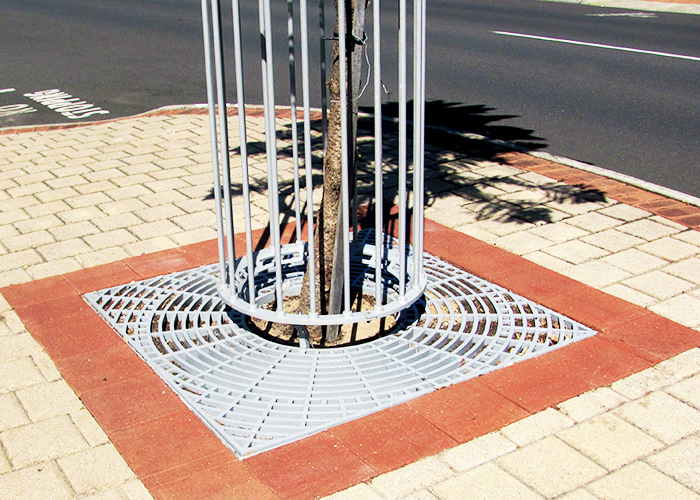 Install by push-fitting in ground or bolting to a Street Furniture grate. 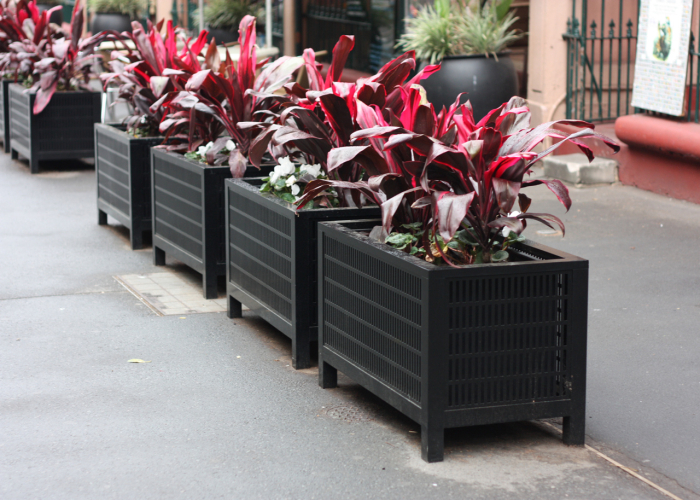 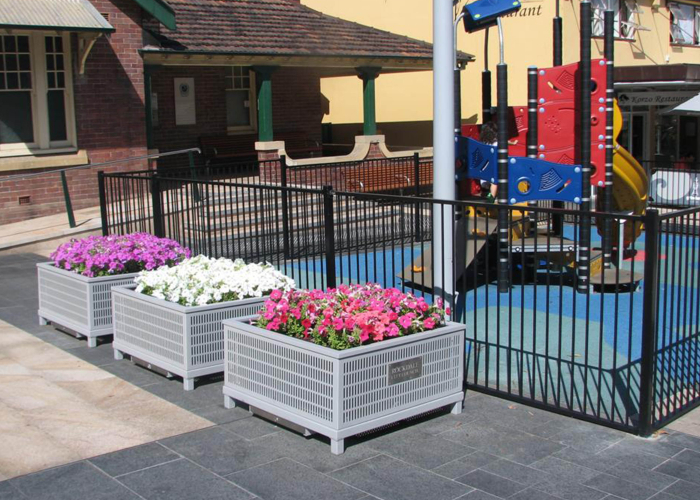 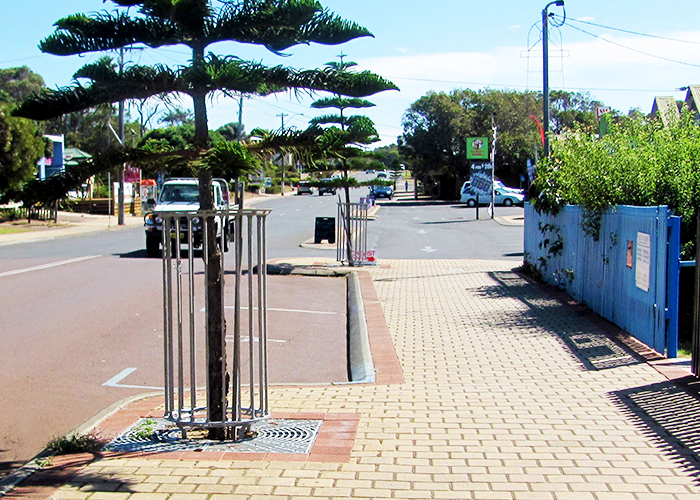 The Shire of Augusta/Margaret River recently completed a project to beautify the CBD of the city of Augusta. 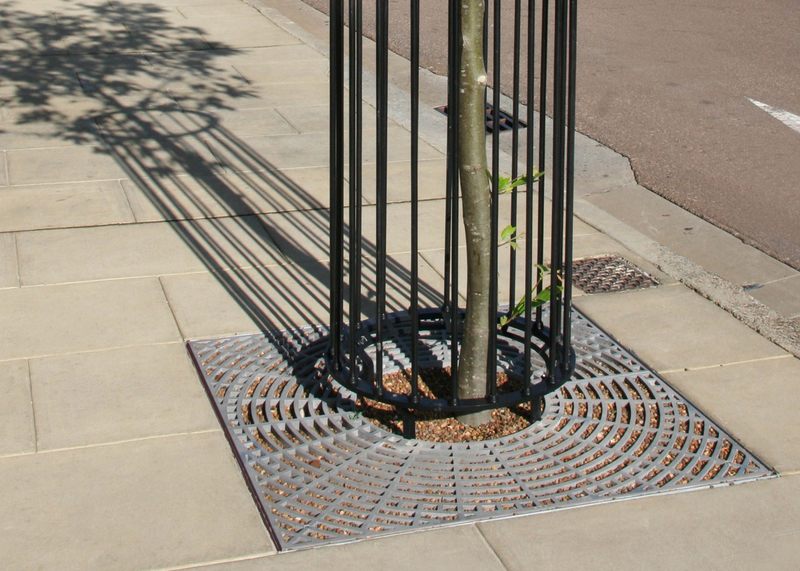 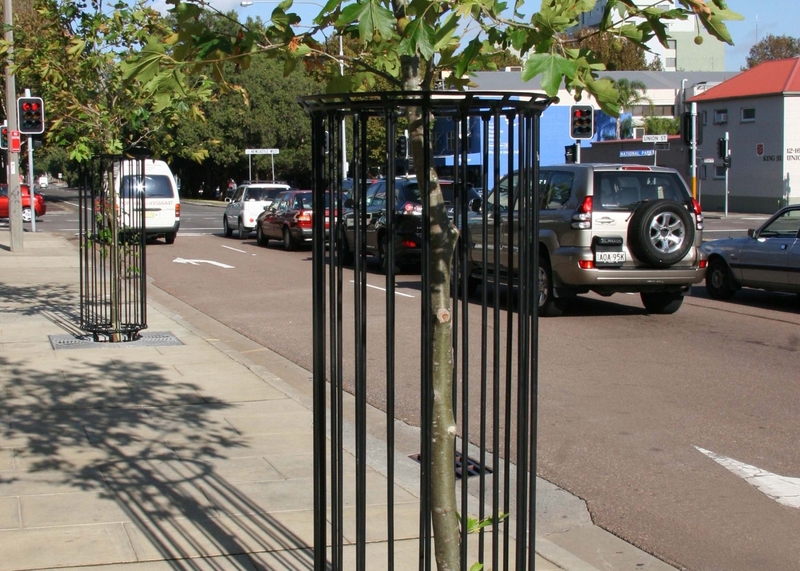 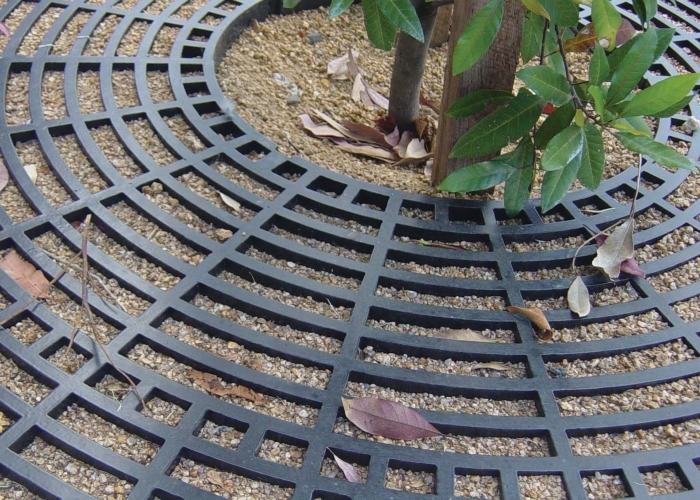 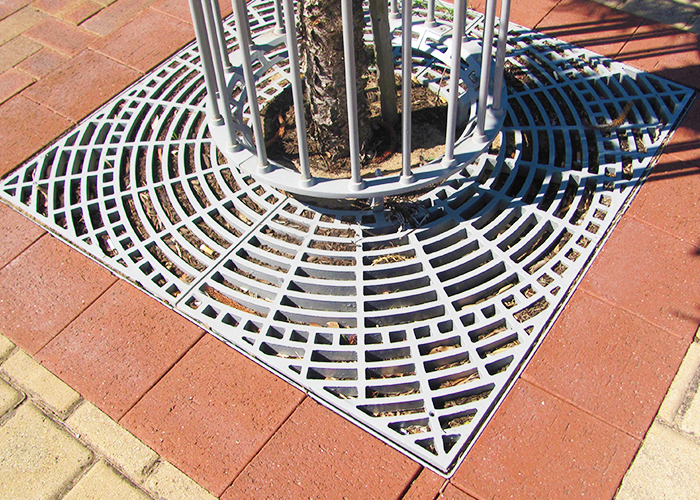 The layout included several pine trees along the streetscape with Street Furniture’s TG6 tree guard and GR2 square tree grates used as a striking surround.